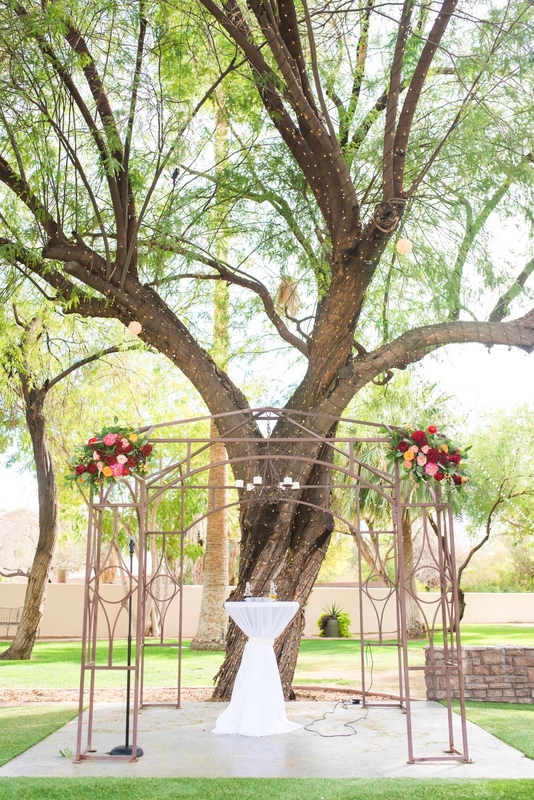 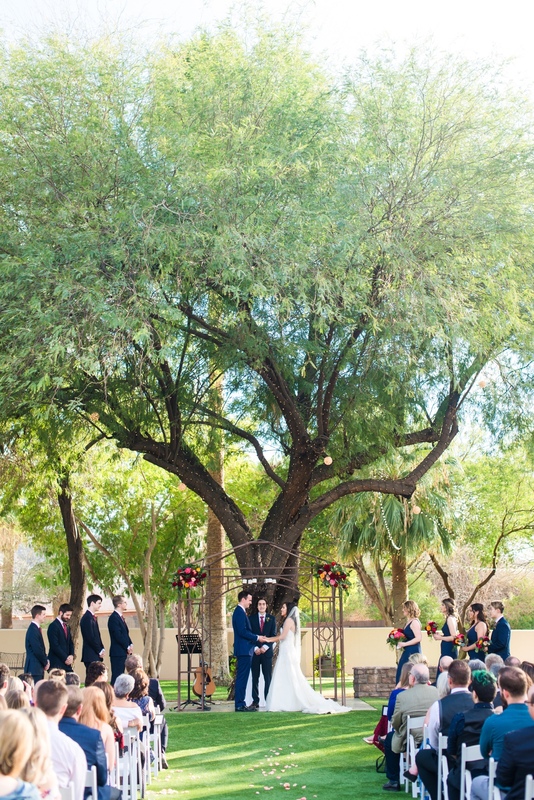 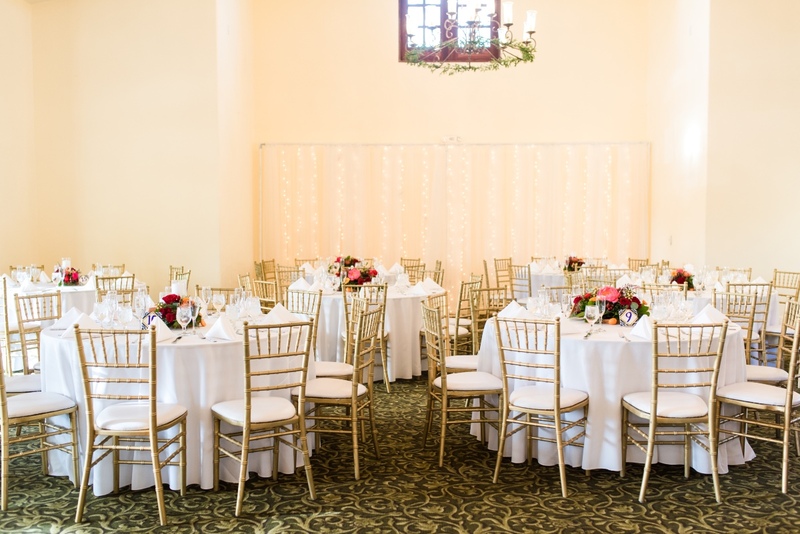 The Secret Garden event center in Phoenix, Arizona was the idyllic location for Danny and Kim’s colorful outdoor wedding. 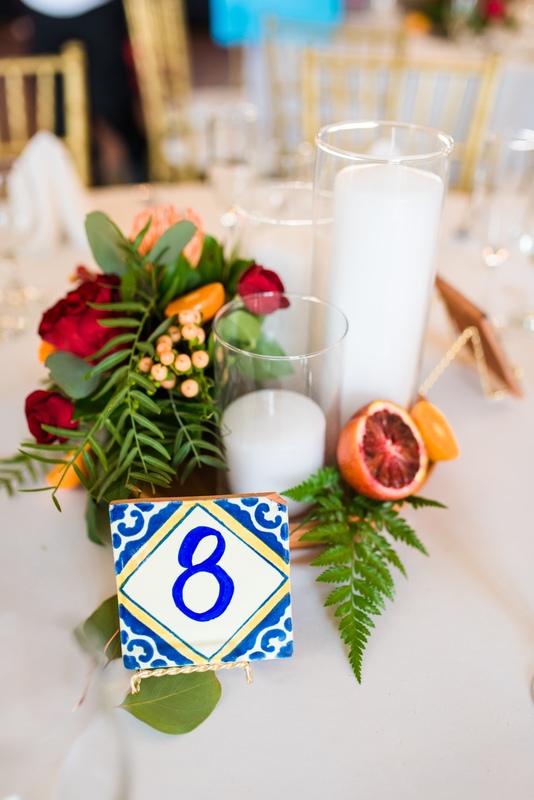 Shades of blue and red added a vibrant pop of color throughout their decor along with vibrant florals and Spanish tile accents. 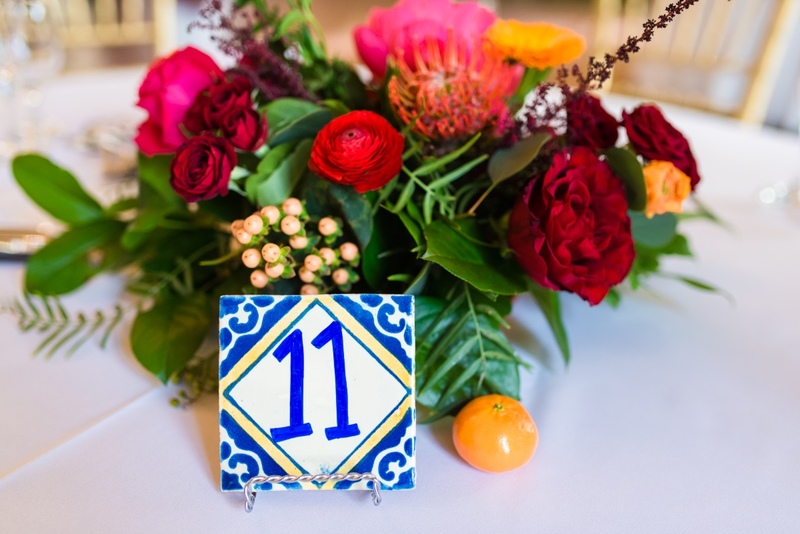 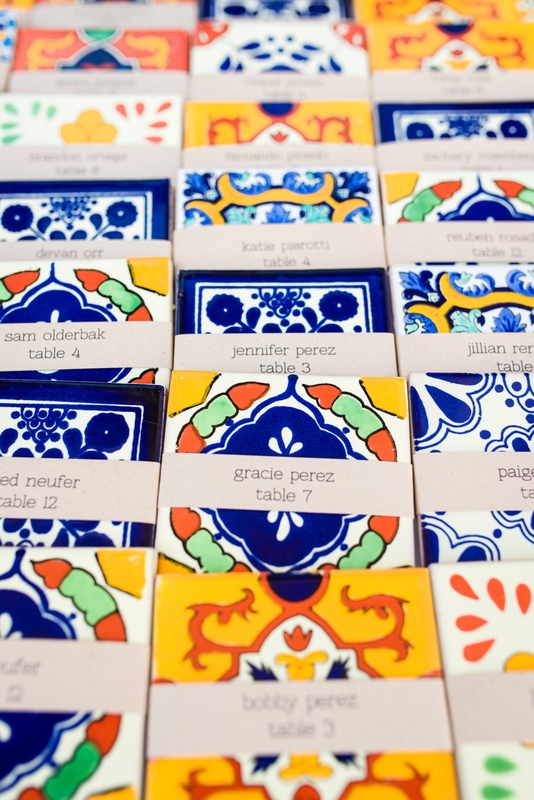 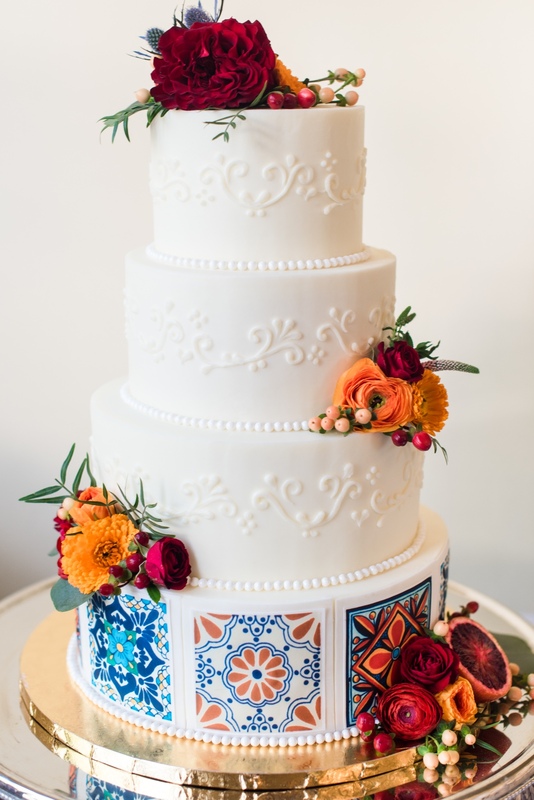 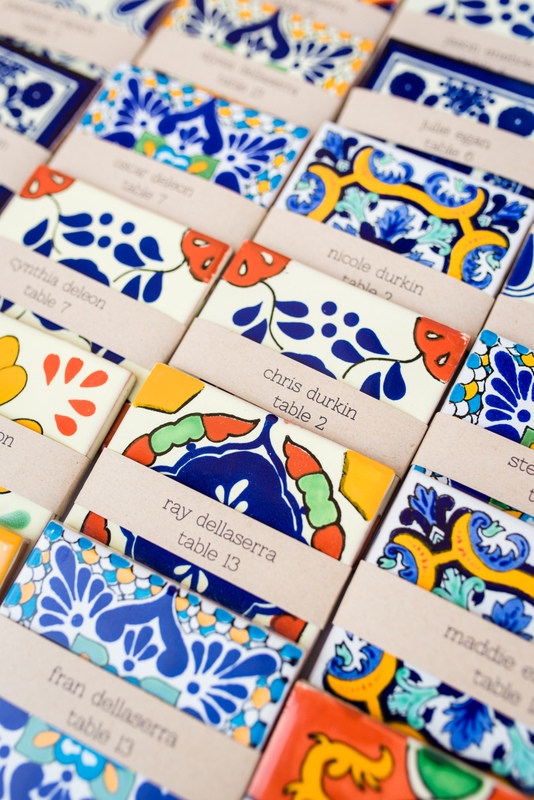 Their incorporated their love for Spain into their wedding with Spanish tile place cards and table numbers, and even included them on their wedding cake! 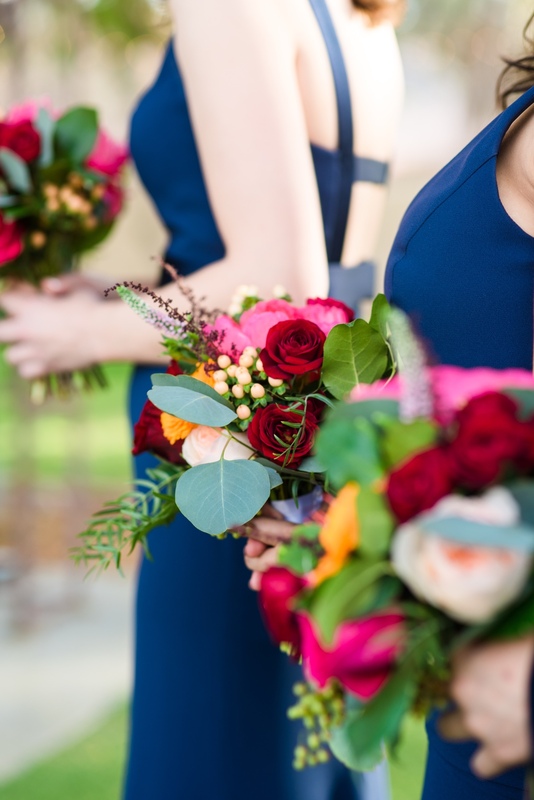 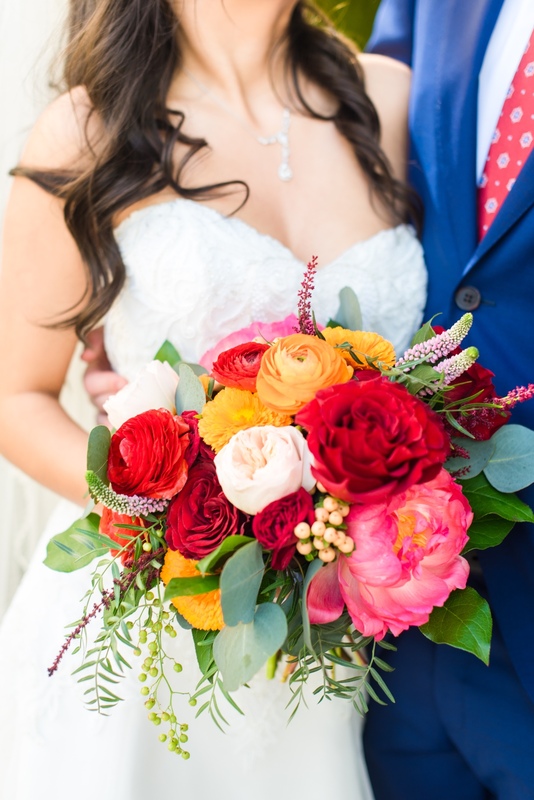 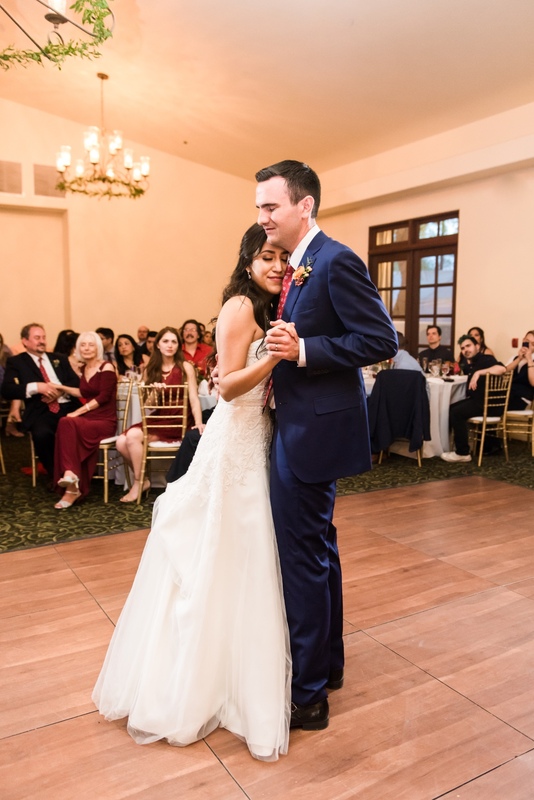 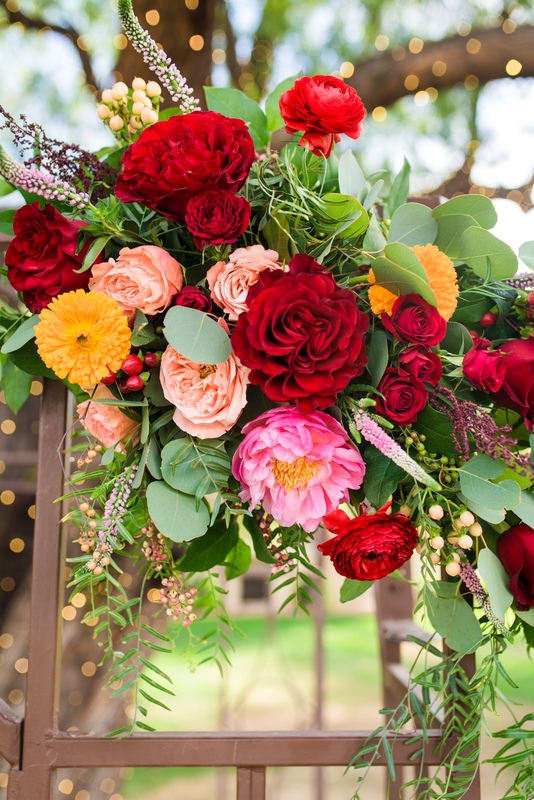 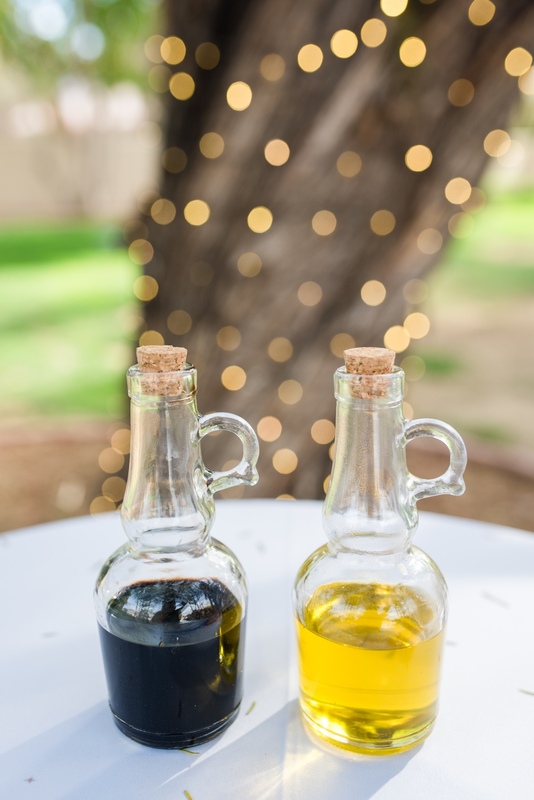 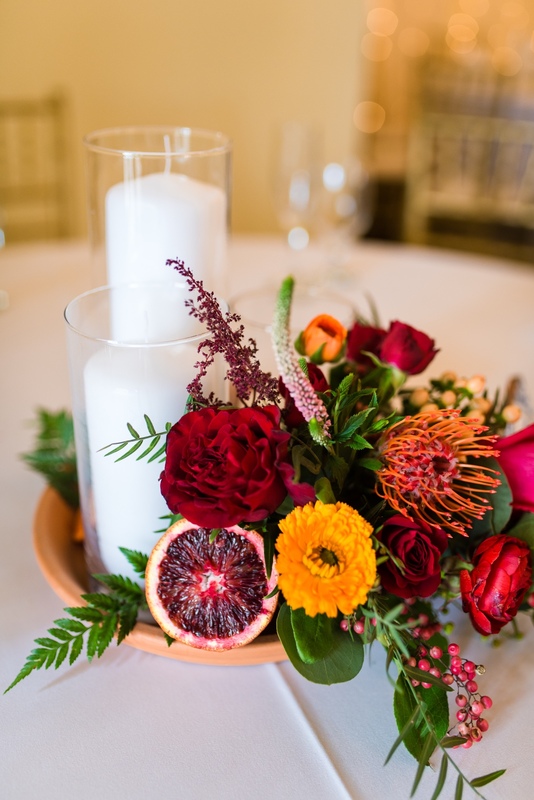 This wedding is sure to brighten your day, so keep scrolling for more and catch a closer look in the full gallery captured by Kaila Cales Photography. 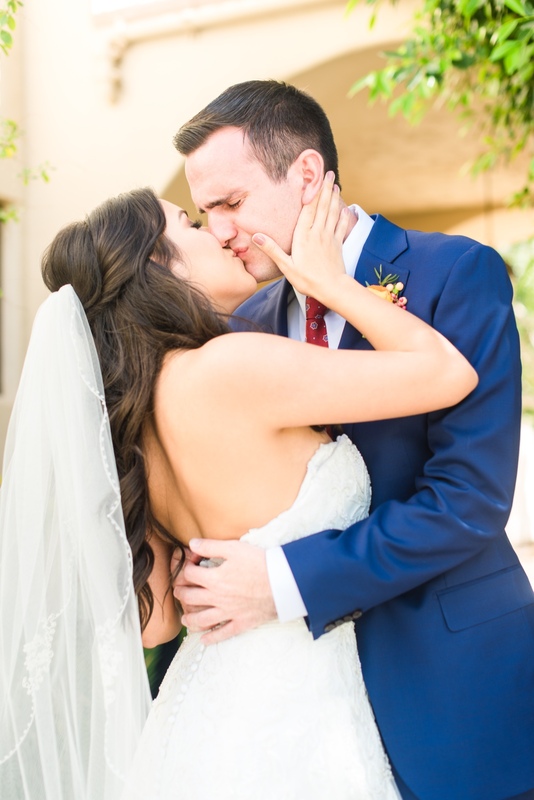 From Kaila Cales Photography: These two have a story that seems like it should be a rom-com. 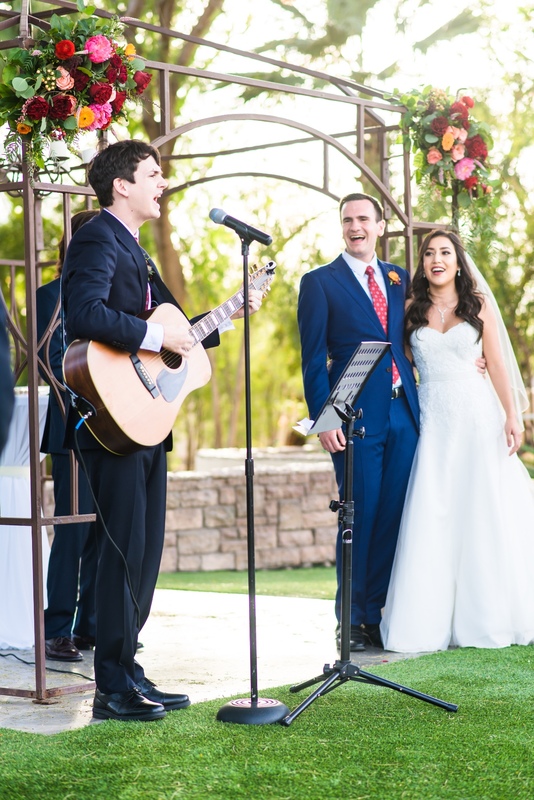 They met at ASU where they were both part of acapella groups. 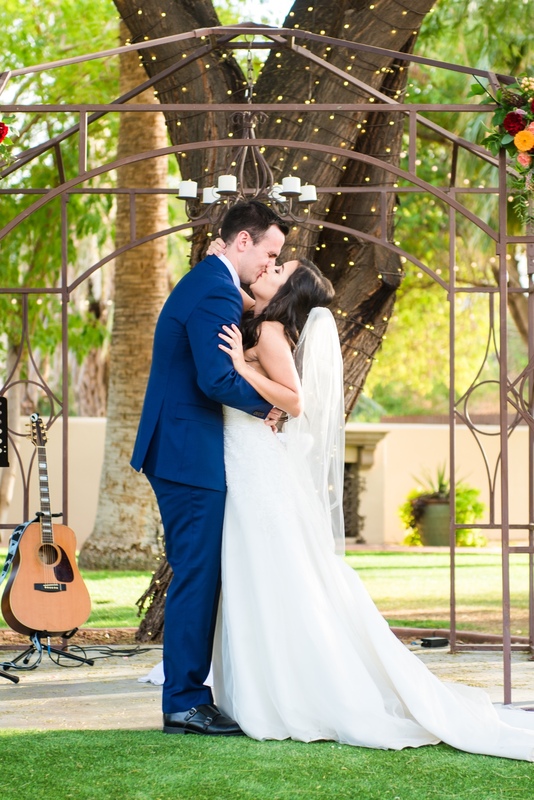 Kim says she remembers vividly the first time she saw/met him singing a love song. 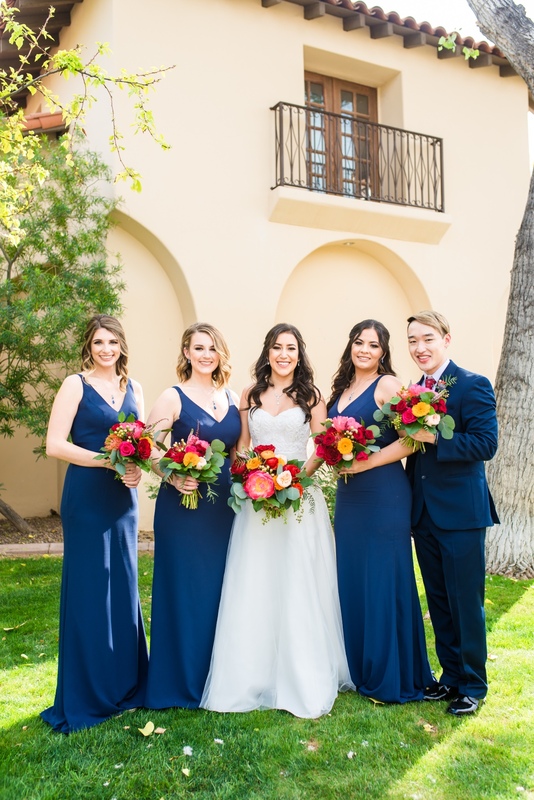 It wasn’t long later the two were cast in the lead roles of the groups big flash mob number and the rest is history! 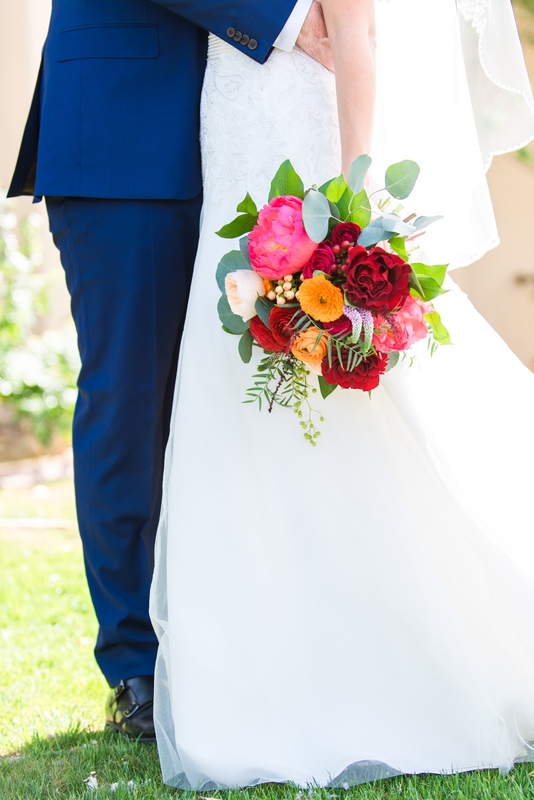 Kim and Danny were on vacation in Spain when Danny surprised her while they walked along a beautiful beach at sunset on their way to dinner. 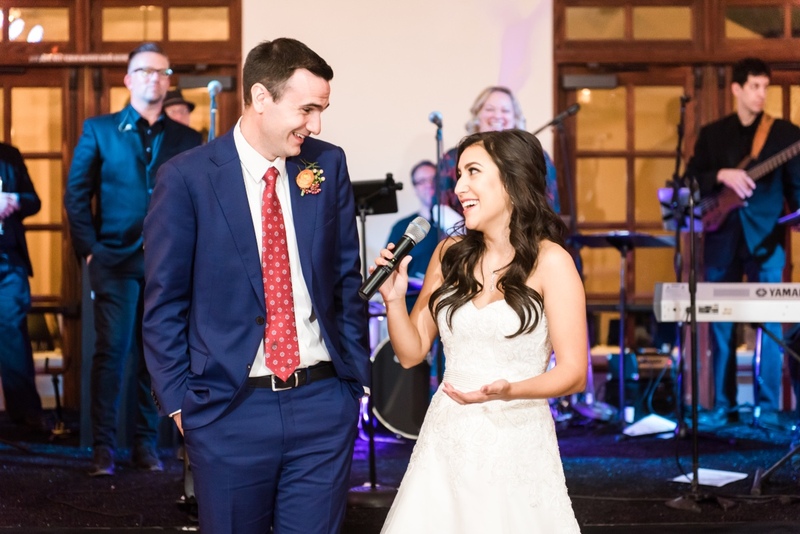 Kim said “I couldn’t believe he was asking me to take my shoes off and walk down to the water after we had spent the afternoon getting dolled up for a super fancy dinner (we’re talking Michelin star restaurant fancy). 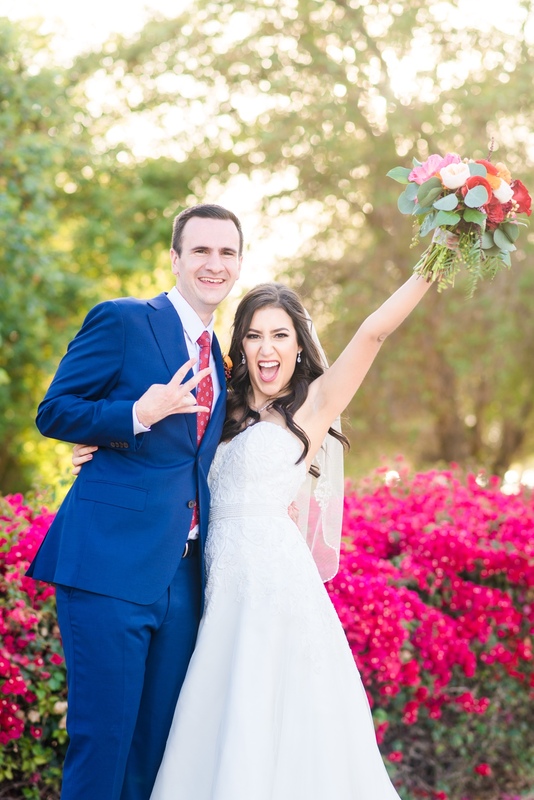 I was worried he was going to get dirty, haha!” They asked someone to take their photo and that’s when Danny said some beautiful words and proceeded to pop the question. 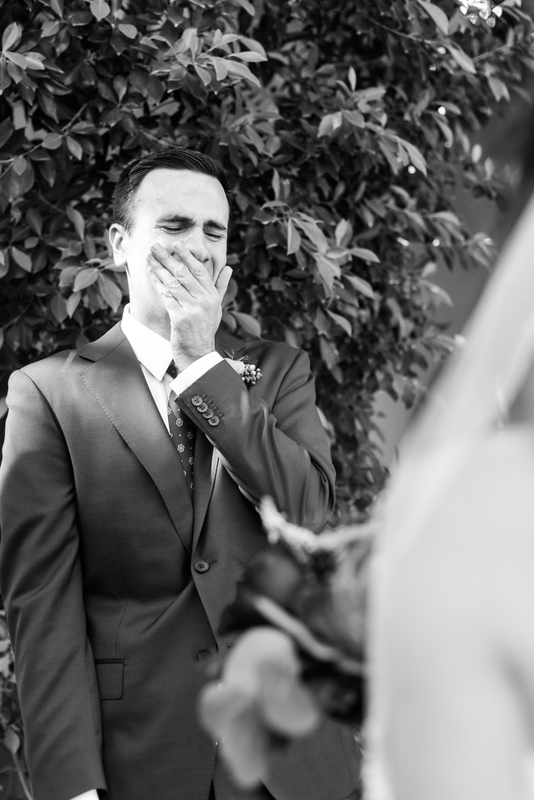 He somehow managed to hide the family heirloom ring from Kim the whole trip! 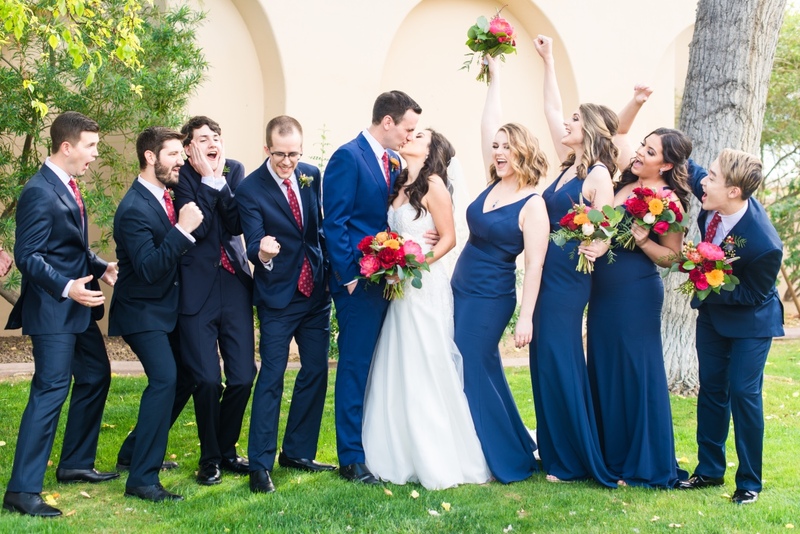 As you will quickly be able to tell from these photos, a lot of their big day was influenced by that trip and their now love for Spain!